I am a committed conservative with a lifetime of service to causes greater than self. As your State Representative, I will give voice to your values. For Cynthia Flores, faith, family, and service are a way of life modeled by her parents, John J. and Jeanette Hernandez, who raised eight children in Fort Worth, Texas. John J. Hernandez, 86, was a pressman, who started his own business at the age of 50. He often worked two or three jobs to make ends meet. Her mother, Jeanette, a nurse by trade, left her career to remain at home and raised Cynthia and her siblings. Today, the family business her father started more than 35 years ago is a highly successful printing company, Johnsons Press, managed and operated by her four brothers. Simplicity defined Cynthia’s childhood. There was one family car, restaurants were special events, and family vacations involved camping in the Texas State Parks. A life of faith and service to the Catholic Church and School, which were directly across the street from their home, became the family priority. Cynthia attended All Saints Catholic Elementary and Nolan Catholic High School. As did her siblings, she worked and paid her way through college. After two years at the local junior college, she commuted to The University of North Texas, in Denton, where she earned her BS degree in Rehabilitation Studies. Inspired by her parents’ example, Cynthia began to give back in both a professional and volunteer capacity. Upon graduation, she worked for Tarrant County MHMR, as a Vocational Evaluator, testing individuals with Mental Retardation to determine skills and interests for employment. She moved to Heart of Texas MHMR, in Waco, to continue on the same career path. She later worked as a Qualified Mental Retardation Professional in a group home with 10 adult individuals. In 1993, Cynthia and her husband Rene moved to Austin, where she continued her work in social services. After the birth of their second child, she “retired” to spend time with their children at home as they made the move to Round Rock, where they live today. In 1998, an ad in the Church bulletin looking for volunteers brought Cynthia to the local food pantry. This marked the beginning of her 19 years of service at the Round Rock Area Serving Center. In 2007, Cynthia transitioned from volunteer to professional Case Manager and coordinates the social service programs. Established in 1986, RRASC is a faith-based organization that operates a food pantry and provides social services for families in need. Cynthia works with the RRASC team in assisting an average of 1,100 families per month with food and financial assistance for rent, utilities, prescriptions, temporary lodging, and transportation. Programs also include: Keep Round Rock Warm, a coat distribution project, Computers for Kids, Community Gardens, adult computer classes and an alternative loan program to assist families in breaking the payday lending cycle. Also in 2007, Cynthia enrolled in the Round Rock Chamber’s Leadership Round Rock Program, graduating in May 2008. Today, she is involved with the Leadership Round Rock Planning Committee, serving as Community Service Day Chair. In 2017, she became the Events Chair and has assisted in organizing the events for the Chamber. She has participated in the Chamber’s Workforce Launch programs, placing student interns with employers and bridging the gaps between employers and veterans. She served two years on the Round Rock Chamber’s Board of Directors. As an Ambassador for the Chamber, since 2008, she has had the opportunity to welcome numerous new business investors to the Round Rock area. Cynthia was appointed by Governor Greg Abbott, in November 2015, to serve on the Board of the Brazos River Authority. The BRA was the first state agency in the country created to manage the water resources of an entire river basin. Cynthia participates on the Executive Compensation and Evaluation Committee. Cynthia has been married to her husband Rene since December 1, 1990. Rene works at Extraco Bank as a Commercial Lender and is in the process of opening a loan production office in Round Rock. Rene was elected to the Round Rock City Council in 2016. Cynthia and Rene have two children — Cecelia, 21, is a senior Nursing Major at Tarleton State University; John Richard, 19, is a Sophomore Business Major at Texas A&M College Station. Saint William Catholic Church has been their parish family for 19 years. As a conservative Republican candidate for House District 52, Cynthia is pursuing a new path to public service. 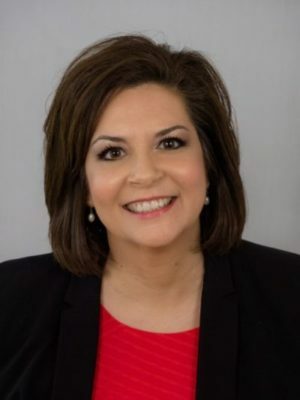 She is committed to advocating for and supporting pro-life initiatives, improving local schools, voting for fiscally conservative budgets, and supporting law and order at the border and across Texas.